How do I Make a Great Bass Line as a Bass Player? Home / Q&A / How do I Make a Great Bass Line as a Bass Player? Play in a band and asked to contribute a great bass line to a song? Happy jamming and want to take it a step further? Writing a song from the bottom up? Being Able to Create a Great Bass Line From Scratch is a Useful, Rewarding and Learnable Skill! While some great bass lines are song defining and iconic (Another One Bites the Dust for example) what makes a bass line great is a lot about context – one juicy whole note at the right time can make or break a song, while in a different spot an exciting and busy fill can be just the thing that is needed. My partner is a composer (and a bassist, too) and he has much opened my eyes to the importance of always thinking about the emotional impact of any piece of music and what role the bass plays to contribute to the song. 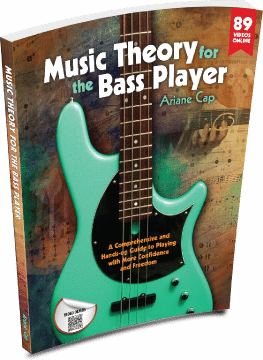 If you are skilled in theory and rhythm, and are knowledgable in how to use dynamics, phrasing, articulation, range of the instrument, density of notes versus space and more, your bass lines will earn the label “great” indeed. Note: My course teaches music theory, technique, fret board harmony and lots on great bass line creation. Theory, rhythm, dynamics, phrasing, sound, range of the instrument etc… all these can be studied and learned. Analyze your favorite songs asking yourself some important questions using your knowledge and you should be golden. Good info, Ari! In addition to your post, I start simple then build. Tonally, I start by playing the root of each chord in a progression. Then I’ll venture out and add passing tones/fills/etc. when it’s appropriate. Rhythmically, I do the same thing: start with whole notes/quarter notes, then take the drums into account, and build from there. And boom! A bassline is born. Interesting idea, Ryan. Definitely a workable strategy. Thanks for reading and posting.